Kimberly-Clark, the makers of Huggies diaper brand, has launched a marketing campaign in Hong Kong for its ‘Step Zero’ diaper, the Hong Kong market’s first diaper for newborns. 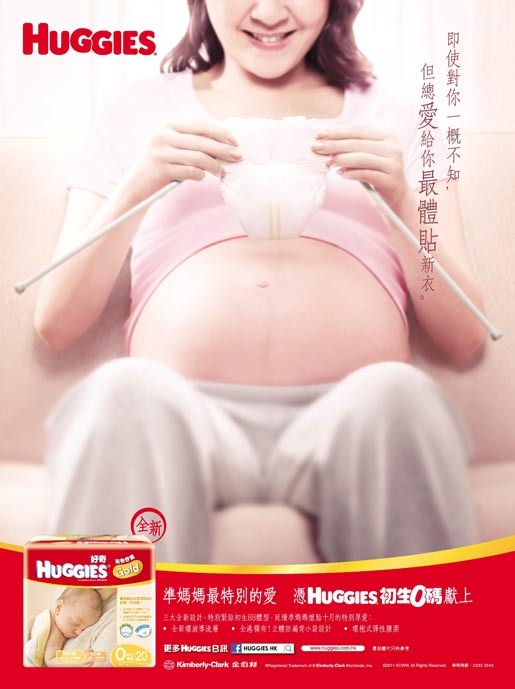 Parents-to-be, their families and friends, plus the local online community, are being invited to visit the Hong Kong Huggies Facebook Fans Page to vote on actions that best support pregnant woman. The action with the most votes will be translated into an outdoor advertising campaign in Hong Kong. The goal of this campaign is to extend Huggies’ care to moms-to-be and their newborns by advocating a movement among the community to give pregnant women extra support, care and love. A touching video depicting the emotional journey of pregnancy communicates the campaign’s core idea. The Step Zero social campaign was developed at Ogilvy & Mather Advertising, Hong Kong, and Social@Ogilvy, by account team Fanny Ng, Calvin Chu, Karen Tong, creatives Eugene Tsoh and Irene Chan, and Social@Ogilvy team Tim Ho, Tem Hansen and Jared Ko.